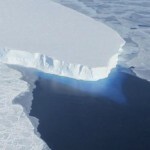 European researchers have once again warned that the thinning of the Antarctic ice shelf means that the flow of glaciers on the frozen continent could accelerate, with a consequent rise in sea levels. They examine, in two separate studies, the increasingly precarious state of some of the ice shelf. When the shelf, consisting of ice floating on the ocean, melts, it makes no difference to sea levels. But the floating ice does have an effect on the land. 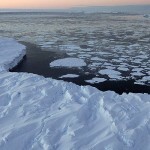 It serves as a brake on the pace of glaciers on their journey down to the sea – and the combined impact of warmer atmospheres and warmer seas in the Southern Ocean are rapidly thinning much of the ice shelf. Johannes Fürst, a researcher at the University of Erlangen-Nuremberg’s Institute of Geography in Germany, and colleagues report in Nature Climate Change that they analyzed years of ice thickness data from European Space Agency satellites and airborne measurements. 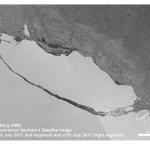 They calculated that only 13% of the total ice shelf area of Antarctica could be called “passive” ice − that is, it plays no role in buttressing or slowing the land-borne ice. 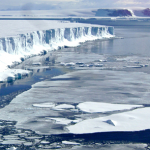 But in the last 20 years, observers have measured the successive losses to large areas of the Larsen ice shelf off the Antarctic Peninsula, and these have resulted in an alarming acceleration of glacial flow on land, even though Antarctica remains the coldest continent on Earth. In some cases, the speed of flow has increased eight-fold. Dr Fürst says: “In contrast to the situation in Greenland, the loss of inland ice in West Antarctica is not caused by melting. It is much too cold for that to happen. The decrease is due to the glaciers flowing into the sea at a faster rate than 20 years ago − what we call dynamic ice loss. This is not the only such warning. But science flourishes by replication. 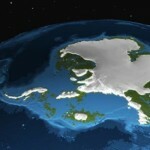 Scientists led by Johannes Sutter, from the Alfred Wegener Institute’s Helmholtz Center for Polar and Marine Research report in Geophysical Research Letters that they used computer simulations to examine the stability of the West Antarctic ice sheet and to explore what must have happened during a warm spell between Ice Ages 125,000 years ago. Their computer model seems to confirm the fears of successive researchers: ice is lost in two stages. First, the shelves shrink and retreat, and then the ice masses in the hinterland begin to speed up in their slide toward the sea. 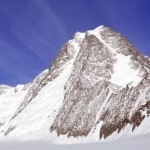 As sea levels rise, the “grounding line” – the level where the ice is stuck to the rock – also retreats, and the glaciers begin to float and melt even faster. But what happens, and how swiftly it happens, depends on human response to global warming, driven by the combustion of fossil fuels and the release of the greenhouse gas carbon dioxide into the atmosphere. “Our study identifies critical temperature limits in the Southern Ocean,” Dr Sutter says. “If the ocean temperature rises by more than 2°C compared with today, the marine-based West Antarctic ice sheet will be irreversibly lost. This will then lead to a significant Antarctic contribution to sea level rise of some three to five meters.